Which is the best for weight loss? Diet vs Metabolic Boosting. When it comes to weight loss, there are generally three schools of thought. The first is extreme dieting. This involves strictly following the instructions of the latest dieting trend to make headlines. The measures are extreme, and the results are generally short-lived. The second is balanced dieting – controlling your calorie intake against the amount of calories you burn during the day. Creating a calorie deficit is said to result in weight loss. The third is metabolism boosting. Your metabolism is the process by which your body turns food into energy. A slow metabolism leads to your body storing food as fat, while a fast metabolism burns through food more quickly. So which approach is best? 1.) Extreme dieting is nonsense. You might see short term results, but it is generally completely unsustainable. Put it out of your mind. 2.) Balanced dieting vs. working on your metabolism? Proponents of both are often quick to disparage the benefits of the other. The reality is a balanced diet and boosting your metabolism really go hand in hand. Keeping both in mind is the best way to approach weight loss. There are many ways to boost your metabolism, but the most important is to make sure you are eating enough of the right foods. Severely reducing your calorie intake slows down your metabolism, making weight loss even more difficult. In order to lose weight, you need to maintain your calorie intake. This is being aware of just how many calories you are taking it, and how you are getting them. By substituting fatty, high-calorie foods for greater portions of healthy, low-calorie foods, you will speed up your metabolism and lose weight more quickly. Another aspect of dieting and metabolism is exercise. Aerobic exercise burns calories, but by increasing your heart rate you can encourage your metabolism to work faster, greatly increasing the benefits. A good way to increase heart rate is to introduce high-intensity periods to your exercise. Joggers can break out to a sprint and walkers can increase to a jog —30 seconds every few minutes. The truth is there is no definitive answer to the question of dieting vs. metabolism. A balanced diet (not a severe calorie cutting diet) will naturally improve your metabolism. 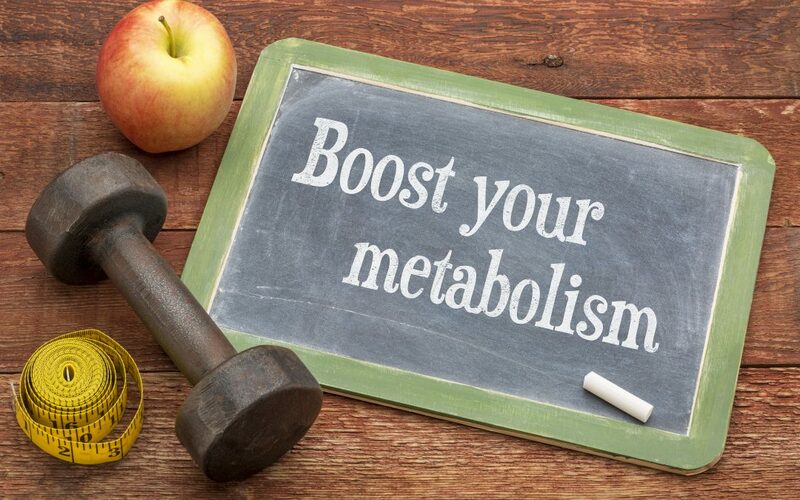 Similarly, foods and activities to boost your metabolism will result in a more balanced diet. The key is in understanding your body. Understand the foods it needs and what positively impacts your metabolism. Keeping both in mind can you see sustained, permanent weight loss. What are the stretching tips for Seniors? What are the Reasons To Exercise After Age 50? What should I know when Considering Aesthetic Treatments? How Does Exercise Affect Metabolism?